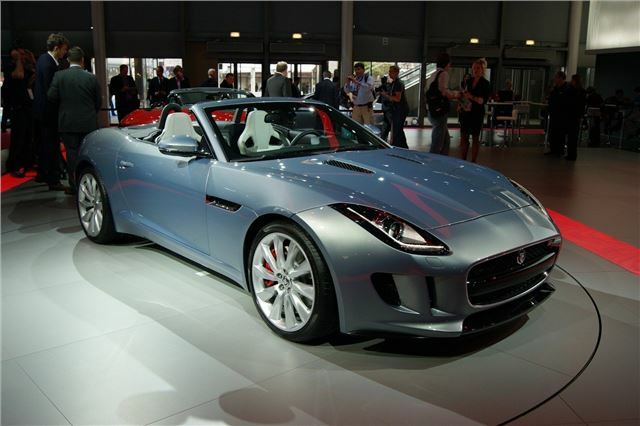 Jaguar has finally unveiled its new F-Type sports car, one of the most anticipated cars of 2013. The two-seater convertible has already been seen in disguised form at the Goodwood Festival of Speed earlier this year and on the roads around Castle Bromwich, where it will be built. Now it's been revealed as a production ready car which will go on sale in mid 2013 with prices expected to start at around £55,000. 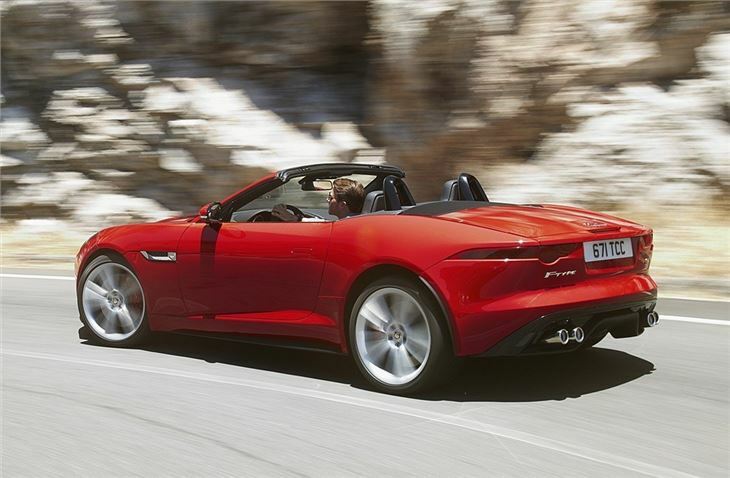 There will be three models – the F-Type, F-Type S and the F-Type V8 S. The standard model and the S are powered by Jaguar's new 3.0-litre V6 supercharged petrol engine with 340PS and 380PS while the top model gets a 5.0-litre V8 supercharged petrol producing an immense 495PS. 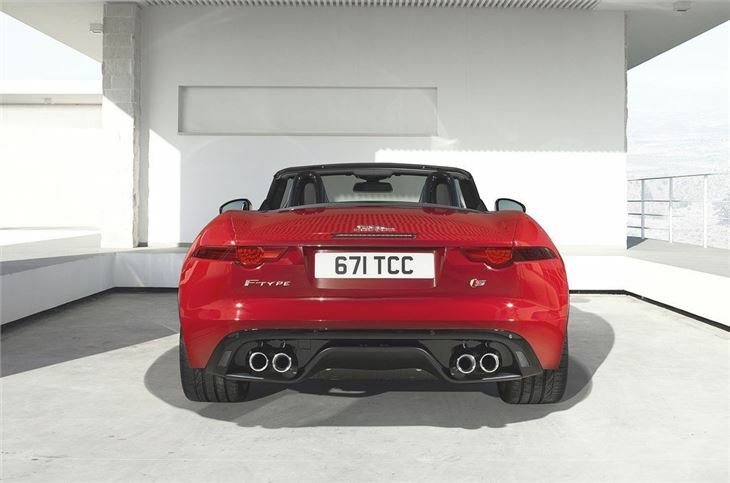 Like all Jaguar cars, the F-Type is front-engined and rear-wheel drive with Jaguar promising 'pure dynamic driving reward and stunning performance'. It certainly looks good on paper with the V8 version able to cover the 0-60mph benchmark in just 4.2 seconds with a top speed of 186mph. 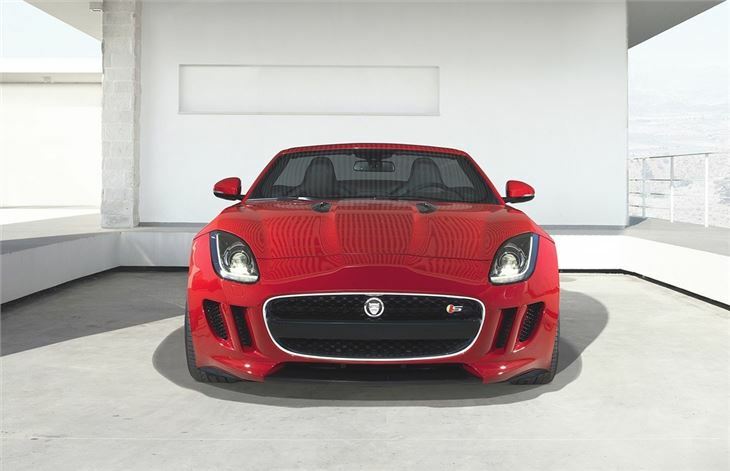 The 380PS F-Type S isn't far behind with a time of 4.8 seconds while the standard F-Type does it in 5.1 seconds. 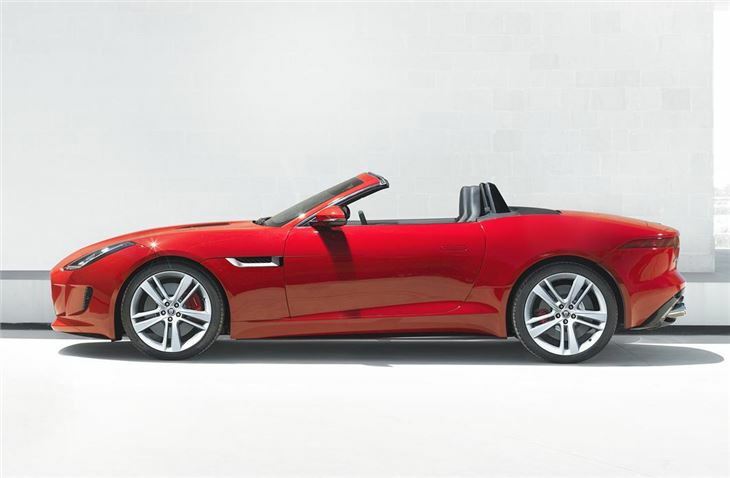 All models get the same eight-speed Quickshift automatic gearbox but instead of the trademark Jaguar gear selector dial, the F-Type gets a more conventional gear lever, called SportShift, which lets the driver change gear manually as do steering wheel mounted paddles. The gearbox has been tuned for the F-Type to give short and quick shifts and will also learn driving styles. So if you're driving with a bit of urgence it will make the shifts more aggressive and hold the gears till higher up the rev range. It also knows if you're going through a corner and will hold the correct gear for the exit. The S versions have an active exhaust system which opens valves when accelerating to make the exhaust note even louder. V6-engined S models also have a Dynamic Launch control function, for the optimum in acceleration from a standstill. A mechanical limited-slip differential is standard on the F-Type S while the V8 S gets an active electronic differential to limit wheelspin and maximise traction. 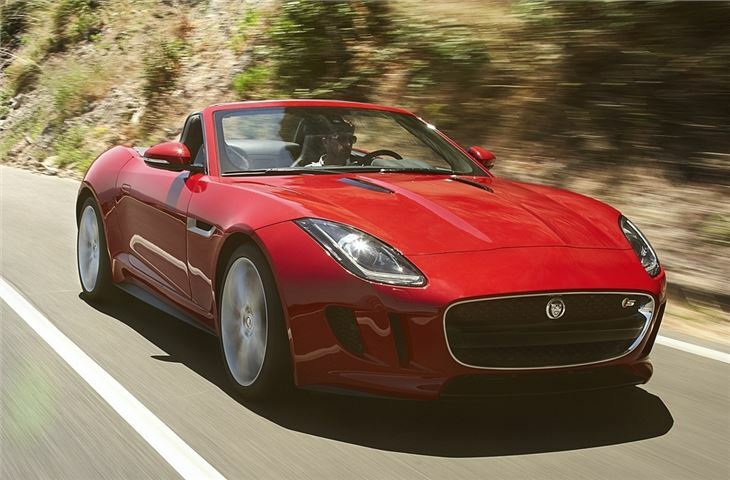 The body of the F-Type is 10 per cent stiffer than the Jaguar XKR-S and it sits 20mm closer to the ground. The short overhangs and even weight distribution (even the battery and washer fluid reservoir have been moved to the boot) should mean excellent balance The F-Type also has the quickest steering rack ever fitted to a Jaguar. Inside there's a small three-spoke steering wheel while a flat-bottomed version is available as an option. Eletrically adjustable sports seats are standard but buyers can upgrade to performance sats with extra side blosters for better support in corners. Details on the outside include door handles that only 'deploy' when the car is unlocked, otherwise they remain flush with the body. There is also a hidden rear spoiler which raises at 60mph to increase rear downforce. V6 models get a twin centre exhaust pipe while the V8 has a quad exhausts as seen on the XKR and XFR. Meanwhile the fabric roof lowers in just 12 seconds and works at up to 30mph. It has a multi-layer construction and like the roof of the new Porsche Boxster, features a layer of Thinsulate for better thermal and sound insulation. ok...just so you know..I'm on suicide watch..